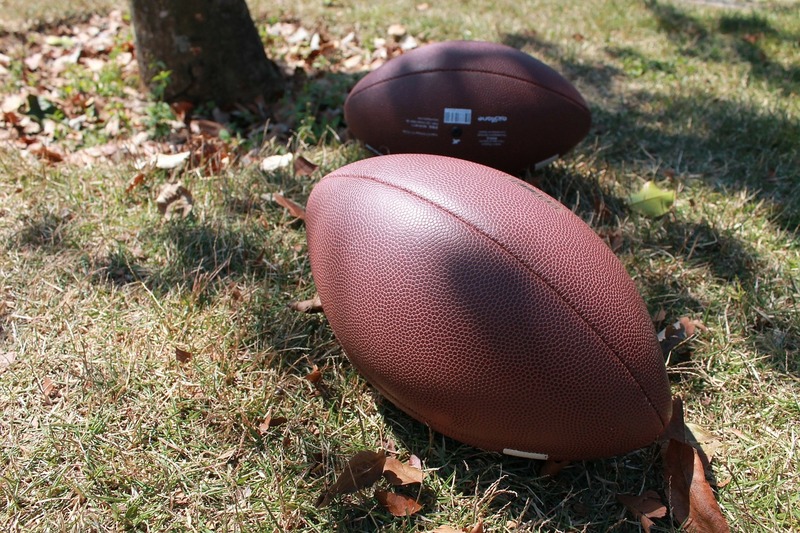 Outdoor Lighting Brings Fun to Backyard Football on the TV Screen or on the Field! 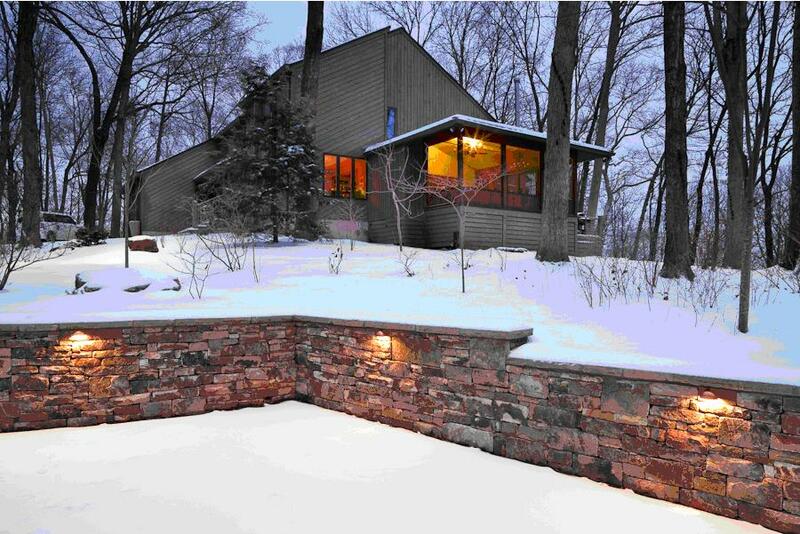 Who says home entertainment can’t happen outdoors—particularly during football season? We are lucky enough in Nashville that the weather stays warm deep into the year, and watching TV outdoors on your porch, deck or patio with friends and family is a lot more fun than sitting on the couch inside. 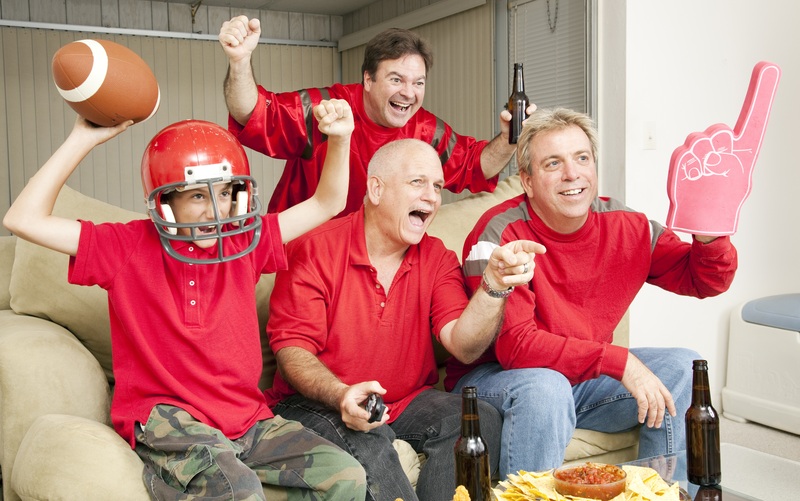 Think of all the fun that can be had with the game on while you are grilling on the barbecue outdoors! 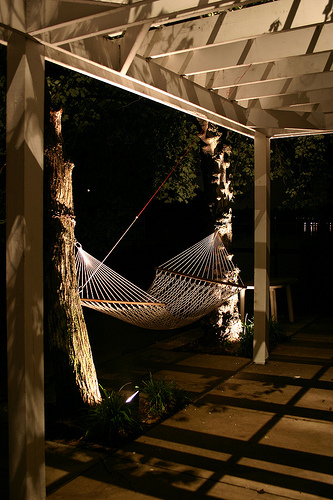 Proper outdoor lighting is what enables backyard entertaining well into the evening and Outdoor Lighting Perspectives of Nashville can illuminate the areas where you choose to hang out. It doesn’t matter if it’s the porch, deck, patio or even a backyard man cave if you are so lucky–you can be sure that you will be able to impress the boys (and girls!) by watching the big game right in the comfort of your backyard with high quality outdoor lighting fixtures that are made right here in Nashville. When watching sports on your outdoor TV, the luxury of having a grilling/barbecue area or an outside kitchen is a huge benefit. The mess can stay outdoors and all the cooking can happen right where all the action is so you don’t have to miss a thing as the host. We can provide you with functional area-specific lighting that ensures those burgers get cooked exactly how your guests want them without having to guess if they are done. Why cook by flashlight or your home’s spotlights when you can have proper overhead and task lighting to handle the job safely? You can increase the value and usability of your outdoor kitchen and get a lot more functionality out of it if it’s easy to see and get the work done easily. It’s also cool to show off your culinary skills too! Of course, when half-time hits, great lighting gives you the opportunity to turn up the fun by tossing around the football with friends and family on the lawn. 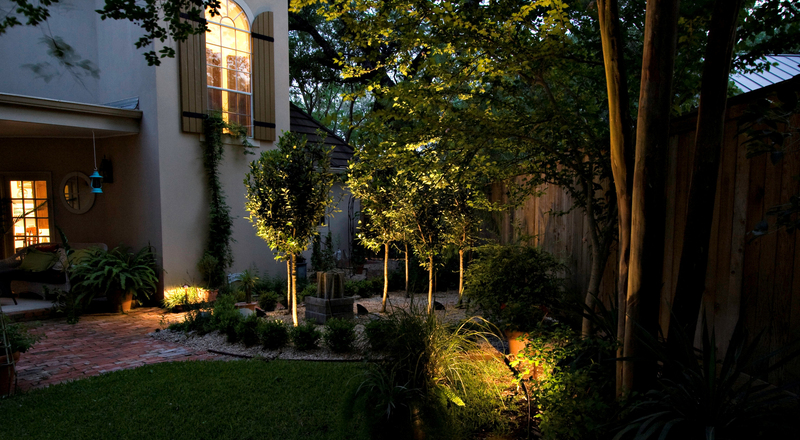 Our landscape lighting will provide you plenty of light to be able to do this while still looking beautiful. Outdoor Lighting Perspectives of Nashville can ensure that there is increased visibility for everyone who chooses to jump into the game. Proper lighting can also clearly delineate your “field area” so no one tramples your rose bushes (ouch!) or heads down a slope because they can’t see. We can give you the benefit of function, beauty and safety all in one package. In addition, as part of Residential Resources, Outdoor Lighting Perspectives of Nashville works closely with other local Nashville companies to provide a vast menu of possibilities for your backyard. We can connect you with fellow businesses that we’ve partnered with extensively–such as The Porch Company if you are considering a custom porch project to serve as your outdoor man cave, or Siteworks Hardscape Construction for your pool, patio or hardscape needs. It’s always best in an outdoor project when all the contractors can be brought in together so they can collaborate on the job from the very beginning. It saves you time, money and a lot of hassle when everyone is on the same game plan. Contact Outdoor Lighting Perspectives of Nashville if you are looking to light your evening football game viewing in your backyard! 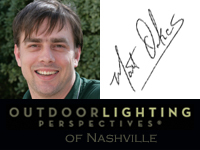 You can call us at (615) 373 – 0638, or by email us at: olpnashville@outdoorlights.com.